Strange! I opened the linen closet to put clean towels away and this was hanging there. Nobody knows why it is there. Nobody knows how it got there. 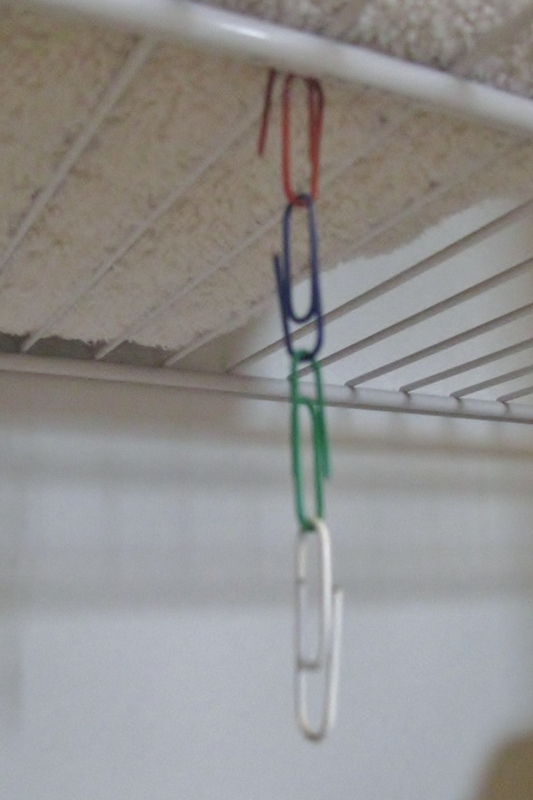 Nobody even knew that we had multi-colored paper clips. Mr. Nobody – hard at work again. He lives at our house, but every home should have one, a Mr. Nobody!